Take advantage of the service specials and parts specials at SJ Denham Chrysler Jeep Dodge Ram, and save on the routine repairs and parts replacements your vehicle needs to operate at its best. Here, you’ll find our latest Chrysler, Dodge, Jeep, Ram service coupons, which you can print, bring to our service center near Redding, and show to one of our staff members during your service write-up. It’s that easy! Keep Your Vehicle Healthy for Less with Our Service & Parts Specials! In addition to savings on repairs like an oil change or check engine light diagnosis, you can also take advantage of parts coupons, including coupons for Mopar parts. Whether you drive a Jeep Wrangler or Ram 1500, your vehicle requires genuine parts to perform as it was intended. 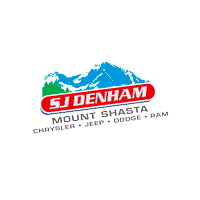 Redbluff and Yreka drivers needn’t look any further than SJ Denham Chrysler Jeep Dodge Ram for excellent deals on tires, Mopar parts, and more. Be sure to check back every so often for new service specials and parts offers! If you have questions about any of our specials, don’t hesitate to contact our service center.